For more on the film check out www.theunrideables.com. 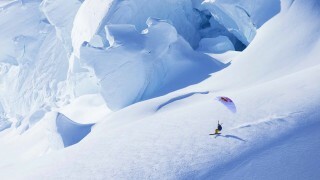 Speedriding is a high-speed, high stakes mountain sport that fuses elements of skiing and parachute flight. This hybrid approach to the alpine gives its intrepid practitioners access to terrain that would otherwise be inaccessible. 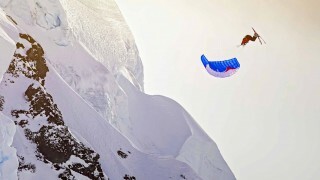 In The Unrideables: Alaska Range, one of the world’s foremost experts on human flight, Jon DeVore, sets out with a team of elite aerial athletes to evolve the sport in North America’s most remote and demanding mountain environment. 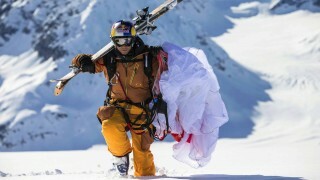 The Unrideables: Alaska Range 3-in-1 Collector’s Edition (DVD, Blu-ray™ and digital download) is now available onRedBullShop.com in the U.S. and Canada, with availability worldwide in February. Fans can also download or rent from iTunes, Google Play, Amazon Instant Video and more at theunrideables.com.